Are Energy Drinks Damaging Your Teeth? Approximately 30-50% of teens in the US consume energy drinks in an effort to improve their athletic prowess, sharpen their concentration, or just obtain a boost of energy to make it through the rest of the day. 62% of American teens consume sports drinks at least once a day. The general belief is that a sports drink, or even an energy drink, is better for you than a sugary alternative, such as juice or soda. Atlanta dentist Dr. Peter Pate explores whether this belief is true, and how sports and energy drinks affect your oral health. In a study published in the May/June 2012 issue of General Dentistry, researchers uncovered that the alarming increase in adolescent consumption of sports and energy drinks is causing irreversible damage to their teeth. Researchers emulated the consumption of these beverages by immersing samples of human tooth enamel in each beverage for about 15 minutes, then immersing them in artificial saliva for two hours. This process was repeated four times a day for five days to stimulate the same exposure young adults subject their teeth to by drinking these beverages several times a day. 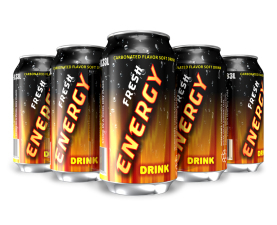 The acidity levels of energy drinks were far more impressive than those of sports drinks, but both proved noticeably detrimental to tooth enamel after only five days of exposure. Damage to tooth enamel is irreversible, and without enamel, your tooth is essentially defenseless against food debris and bacteria that can cause tooth decay and gum disease. The sugar and acid content of sports and energy drinks makes them dangerous to your oral health. If you consume any of these beverages, Dr. Pate advises you to rinse your mouth with water or chew a piece of sugarless gum with xylitol immediately after consumption. Both promote the stimulation of saliva, which helps to neutralize the acids in your mouth. You should not brush your teeth immediately after drinking a beverage, because brushing can spread the acid over a greater area. To learn more about protecting your teeth from decay, or to schedule a consultation with Dr. Pate, contact Dentistry in Buckhead at (404) 266-9424. We proudly welcome patients from the Buckhead area, as well as Sandy Springs, Lenox, Brookhaven, and the greater Atlanta area.